Sure, New Coke was a disaster for the Coca-Cola company and the reintroduction of the Classic formula was an expensive hail-mary pass that paid off and the whole debacle would probably serve as a good example to other leaders in the soda industry of the importance of maintaining the integrity of your flagship product, but that was the ’80s and by the ’90s Pepsi was ready to try their bad idea. 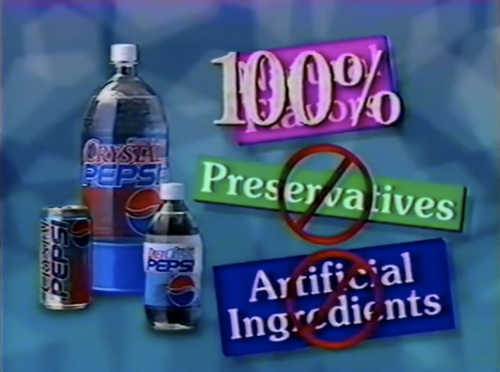 Crystal Pepsi launched in 1992 with the help of an aggressive marketing campaign centered around Van Halen’s “Right Now”. 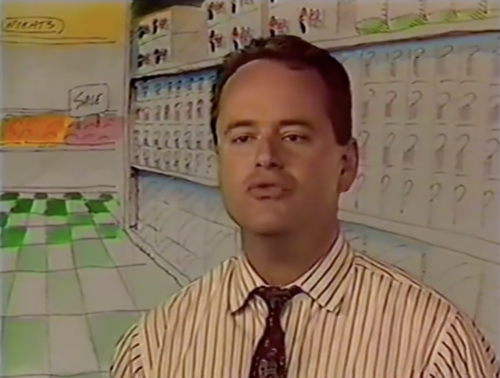 The ads were everywhere and the product itself was intriguing just from the sheer gimmickry of it. A clear cola, bereft of caffeine and preservatives, for the consumer seeking a ‘healthier’ soda option. 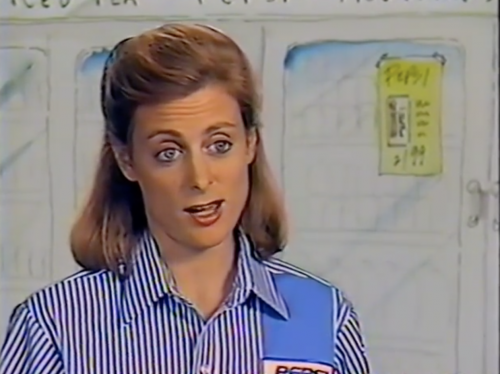 An interesting move for Pepsi – bad moves can still be interesting – and this training video to Pepsi distributors educating them about the main talking points of Crystal Pepsi is also interestingly bad. The video takes viewers through the main talking points of the ad campaign without all of the production effort. 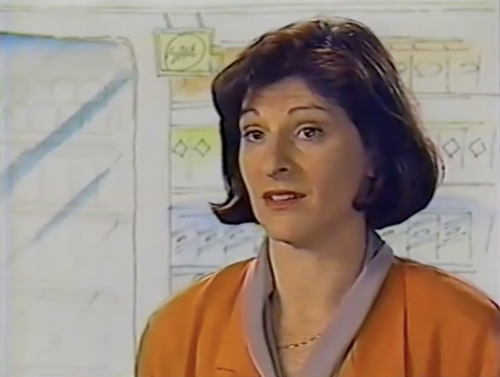 Instead we’re treated to a very low-budget grab bag of ’90s video effects and graphics. This is what the Saved By The Bell intro would look like if it were made by college students. 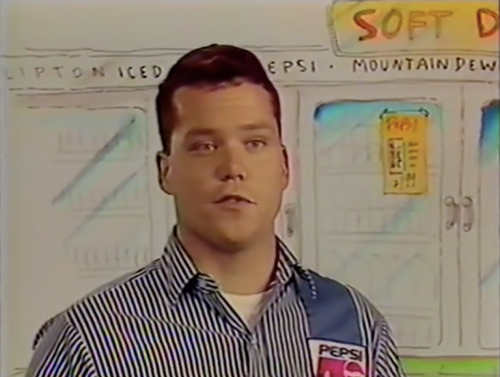 We’ve also got a lot of talking heads, actual Pepsi employees (! ), extolling the virtues of the product. Phrases like “a more subtle cola,” “doesn’t taste like any other clear drink”, “we can’t keep it on the shelves,” and “it took the market by storm” really highlight the effort to bring the distributors into the cult of Crystal. They call it that, by the way, just “Crystal”. Real insider. Real casual. After downloading all of the marketing points, the video turns to a few practice sessions to anticipate what would ultimately turn out to be justified hesitation on the store-owners’ parts. A few of the questions urge the distributors to passively-aggressively push for more shelf space at no cost to the existing Pepsi line. Even in play-acting, it’s awkward. Also, they couldn’t do this in an actual store? These sets look to be half-heartedly designed by children. 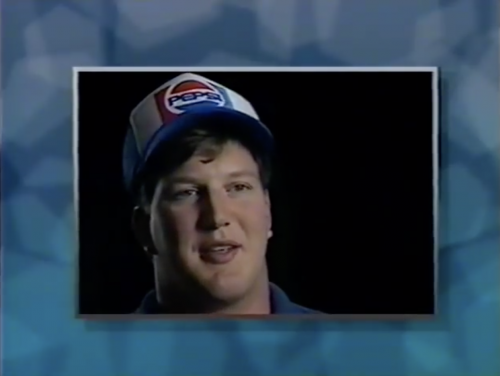 Crystal Pepsi did okay for a little while, but the fad wore off pretty quickly. Coca-Cola dealt the final blow with “Tab Clear”, a suicide attempt at creating an intentionally inferior clear product that would sour public perception of clear soda and ultimately destroy both brands. 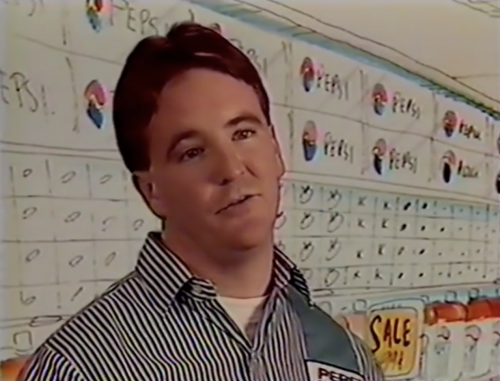 There’s a few bright spots in Crystal Pepsi’s afterlife; a few grassroots attempts to revive the formula resulted in Pepsi’s half-hearted effort to give it another try in the interest of nostalgia. It didn’t stick, maybe it was never meant to.